Since it was our last day, we didn't waste much time leaving the hotel for some last minute shopping. In other words, 'chiong ah'. 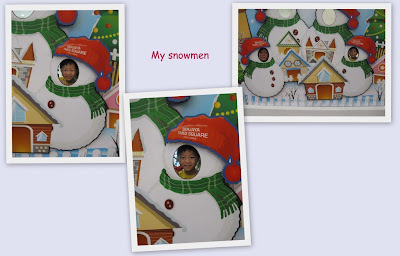 This time we went to Berjaya Times Square. We took the monorail down. Baby G was very happy to be able to ride in the train again. He stood all the while in front, just behind the driver and watched. Too bad it was only 1 stop away, you could see the disappointment written all over his face. The weather started to get colder as the drizzle became much more heavier. 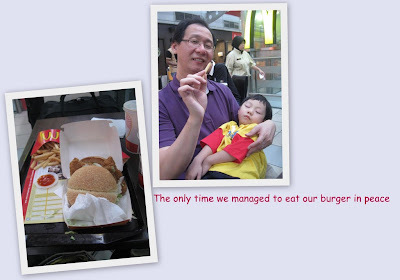 This time, the shopping didn't really captivate me as much but Daddy managed to get a really nice Adidas bag for his recently purchased Netbook. Good buy. Actually, I've been wanting to buy a nice card case as my current one was about to give way, but searched high & low and can't find anything suitable. Either it was too small (i.e. can't hold enough cards) or too expensive or not nice at all. In the end, I gave up and then we saw Krispy Kreme donuts. 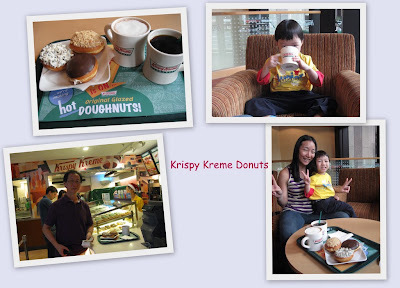 Knowing how much Baby G loves his donuts, we decided to stop for a break. 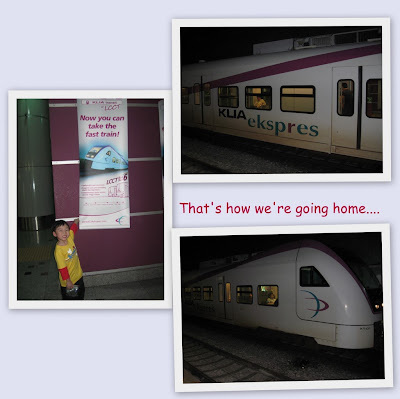 Too soon, it was time to get to KL Sentral to catch our train to LCCT. We took a taxi to KL Sentral and Baby G fell asleep again. This time he was really tired out, he slept all thru our brunch even. 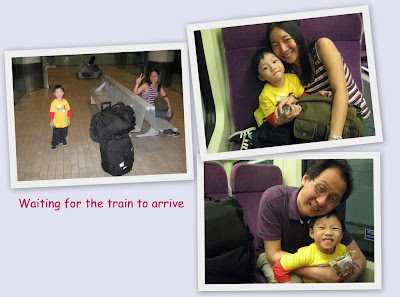 Finally Baby G woke up and when we told him that we were going to take a train ride, he got all excited again. 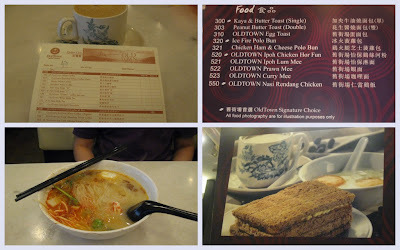 Once we reached LCCT, we checked in our luggage and went to have a light meal at OldTown Coffee. Baby G made friends with the waitresses there. He really acted cute with them. Haha. So this time, we just sat there enjoying our meal while someone else took up his time. Soon, it was really time to leave our dream holiday and back to reality. 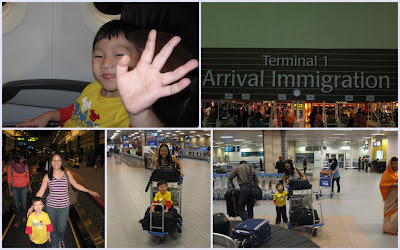 After slightly more than an hour of flight (due to plane delay), we touched down in S'pore.